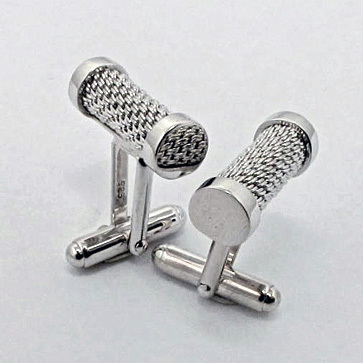 The finishing touch for the stylish man - a subtle personal statement and the ultimate secret weapon. 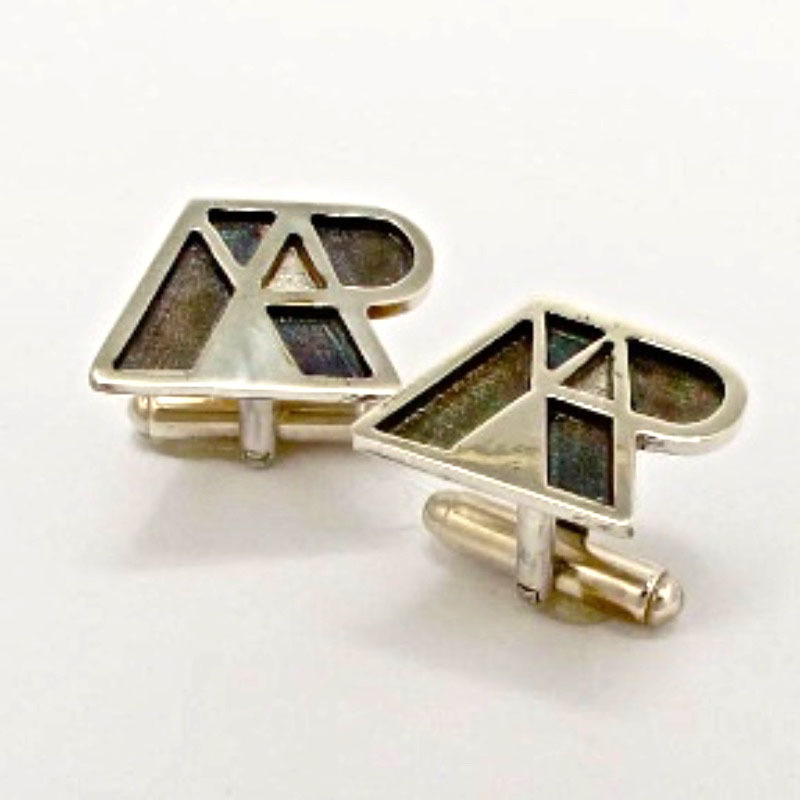 The ideal gift to mark a special occasion. 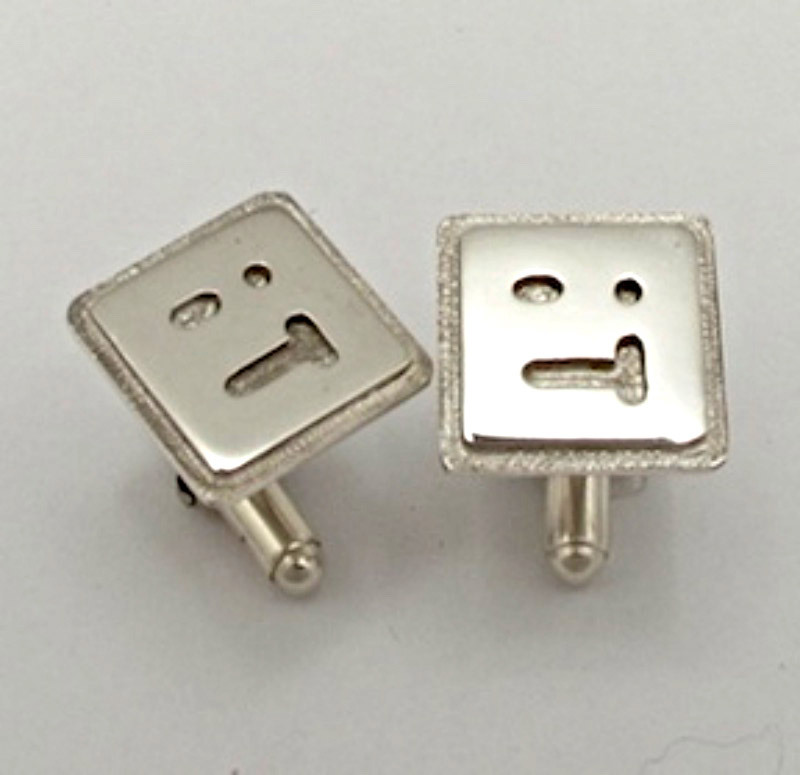 Perhaps to celebrate The Big Day? 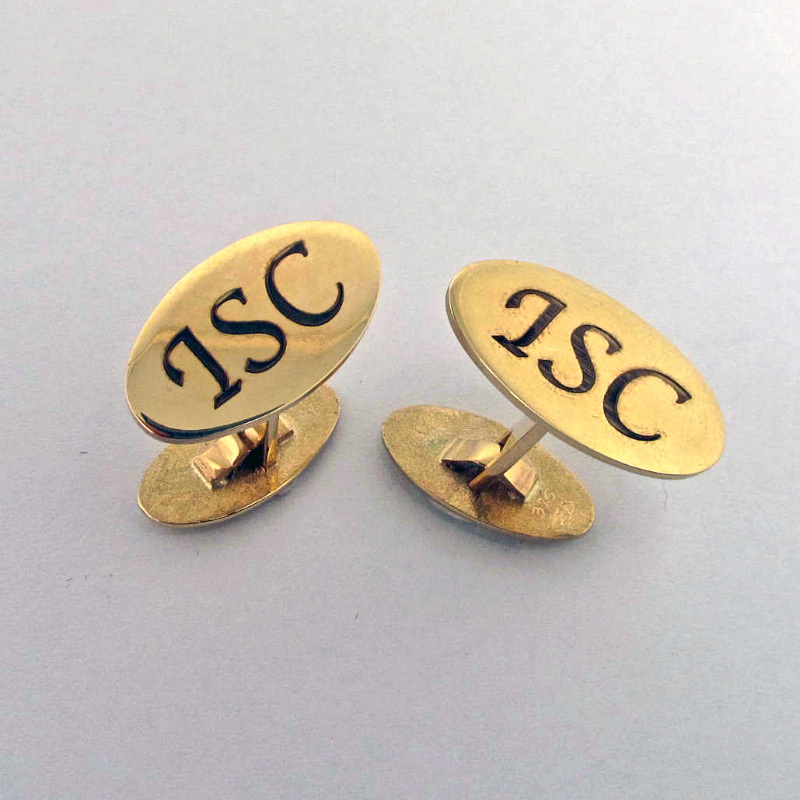 To recognise a colleague’s contribution to the company? 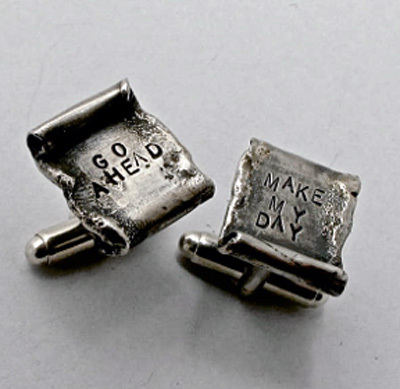 Or to mark an anniversary or birthday? 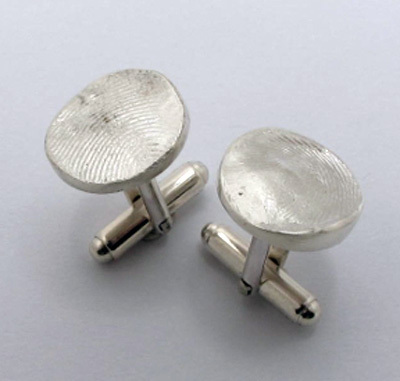 All of our jewellery is handmade by South African artist-jewellers. 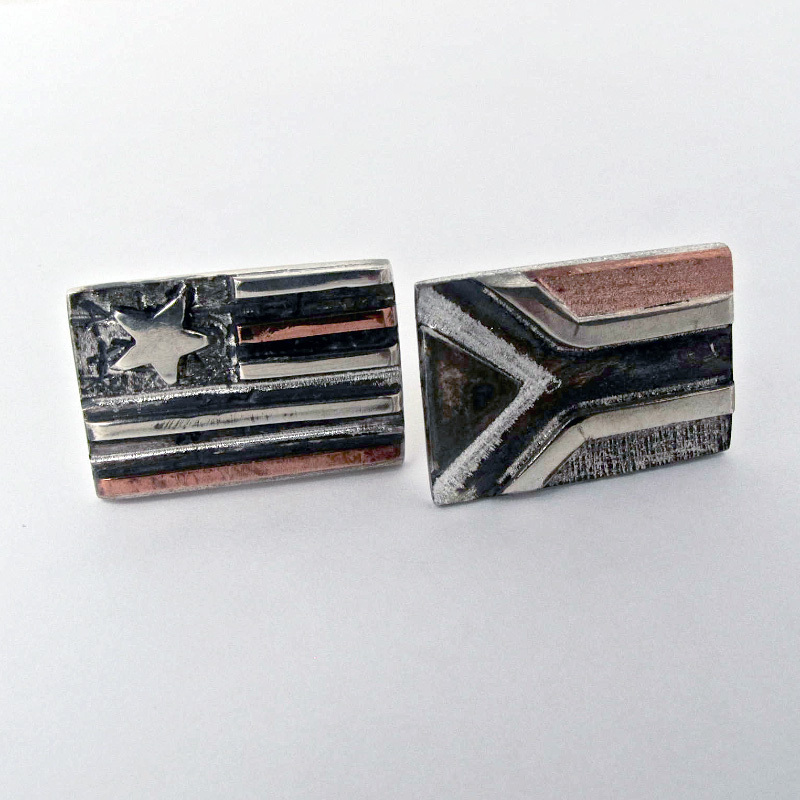 We work in all precious metals. 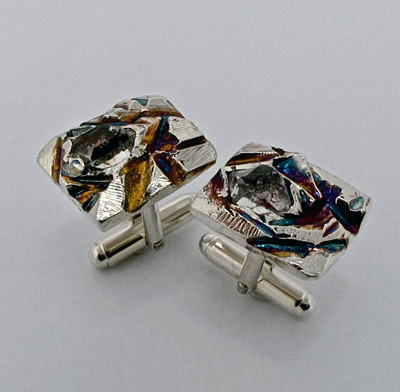 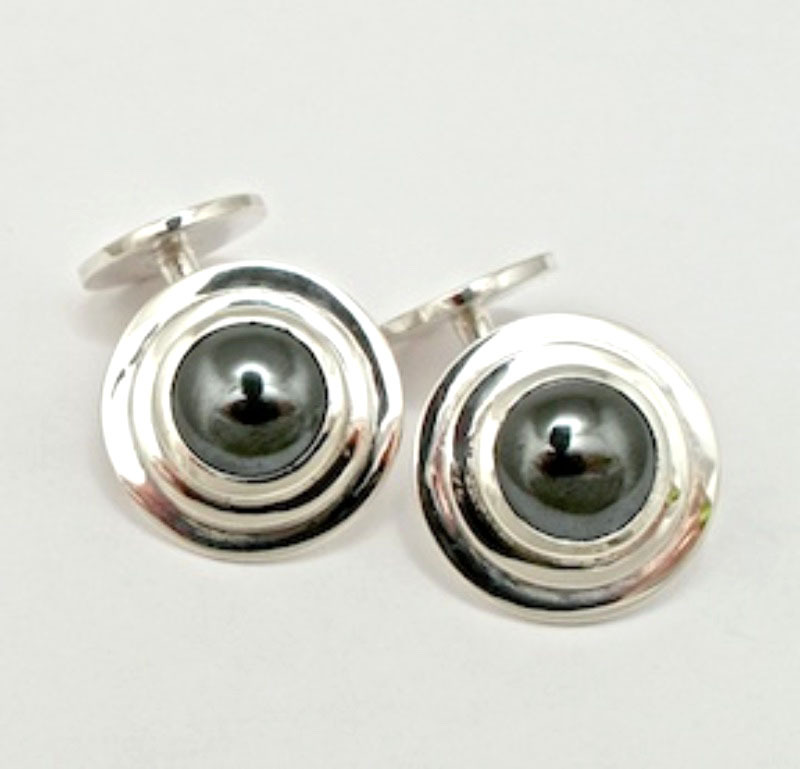 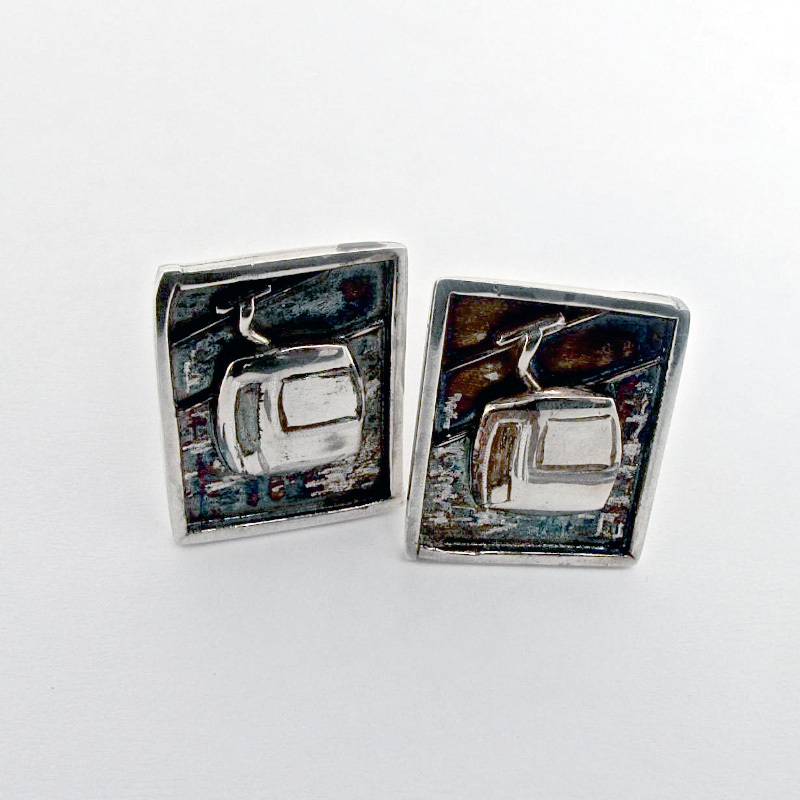 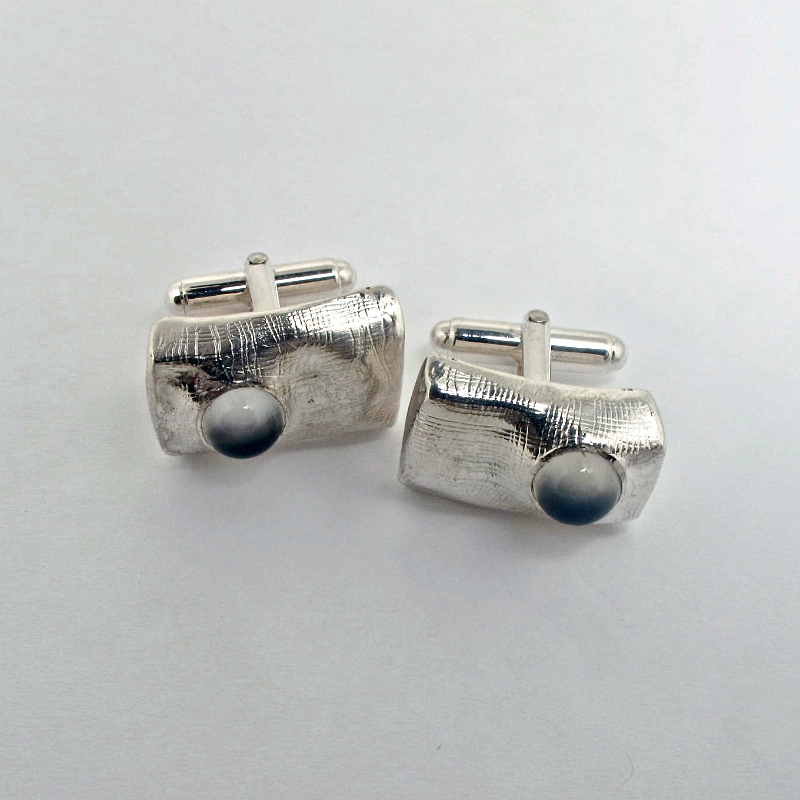 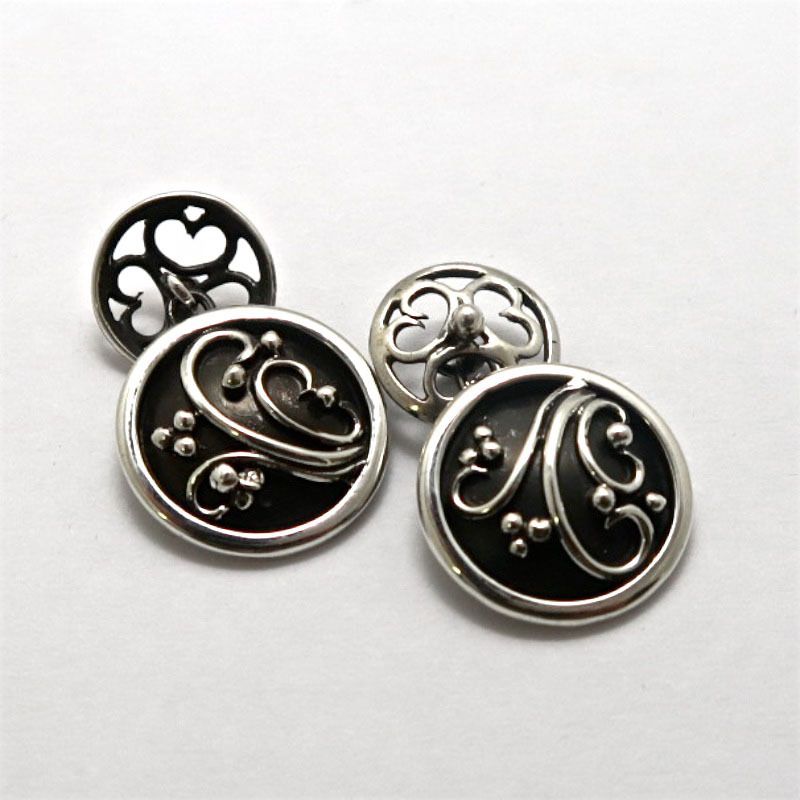 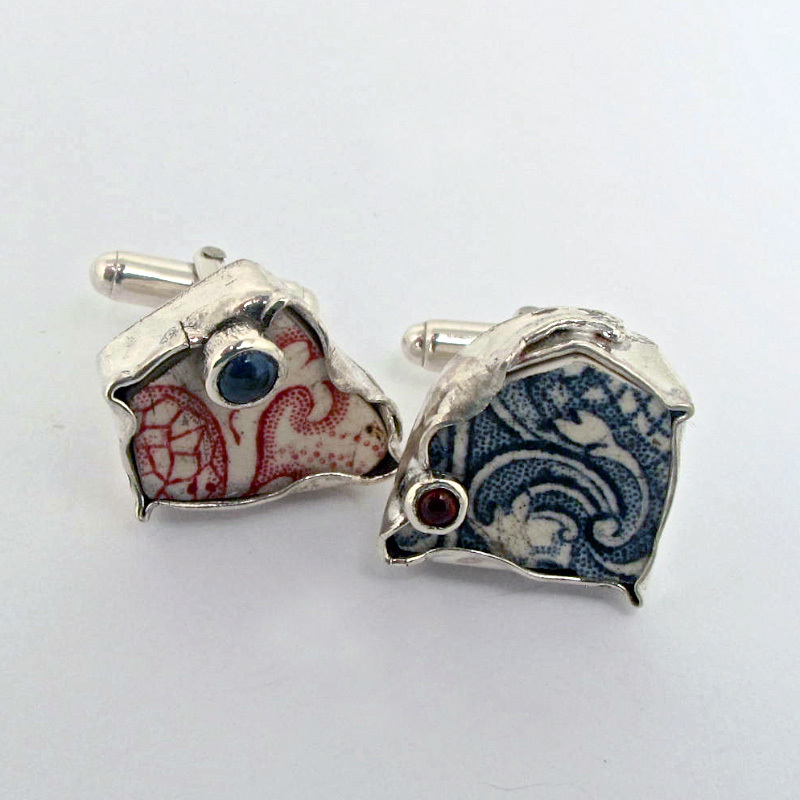 Sterling silver is our customer’s first choice for cufflinks, with prices starting at R2 800. 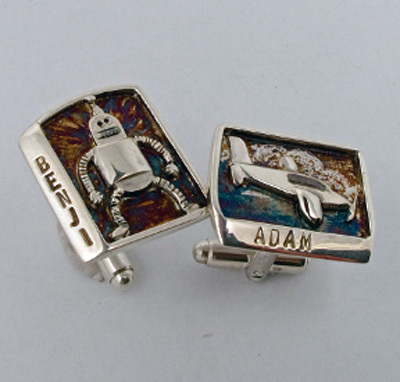 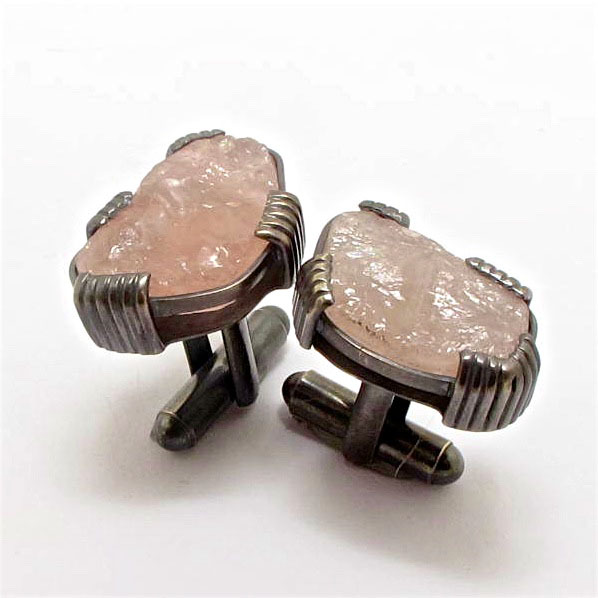 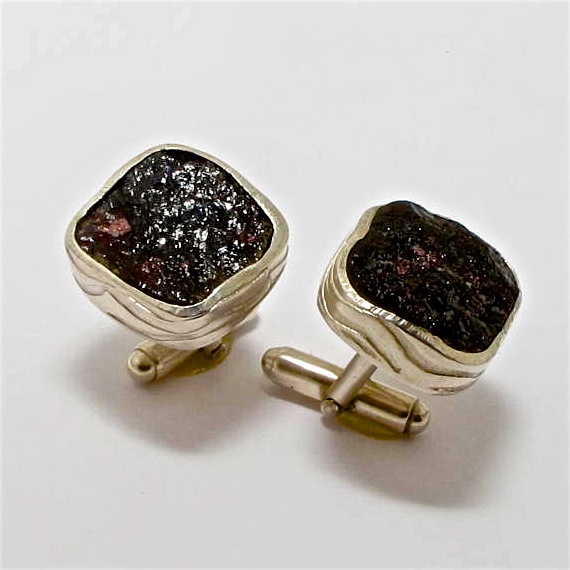 Contact us to discuss a special pair of cufflinks made just for you. 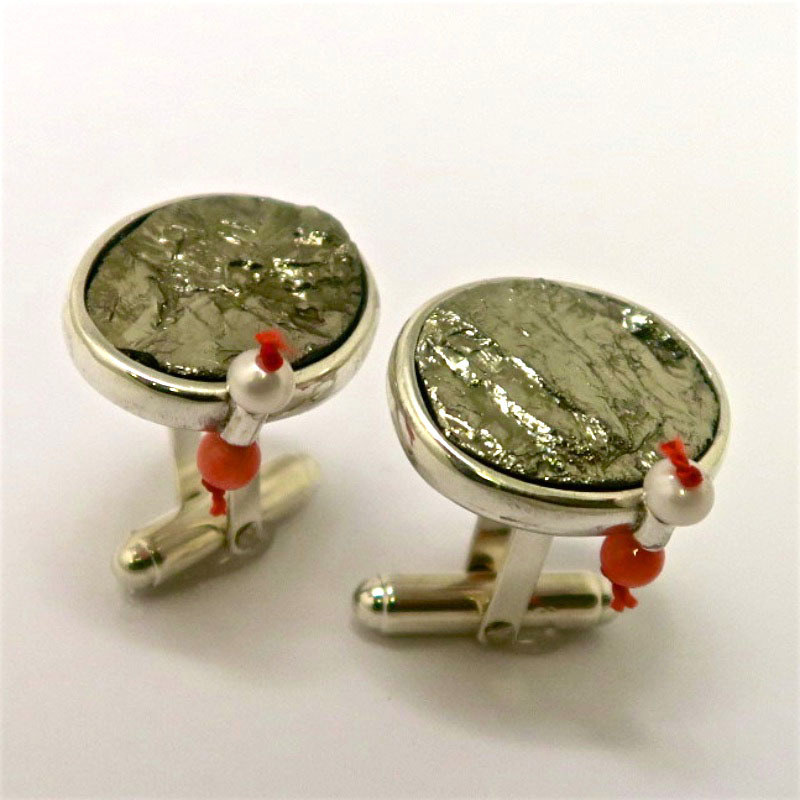 Or choose from the range of specially commissioned one-off items in stock – our jewellers regularly come up with new ideas and designs. 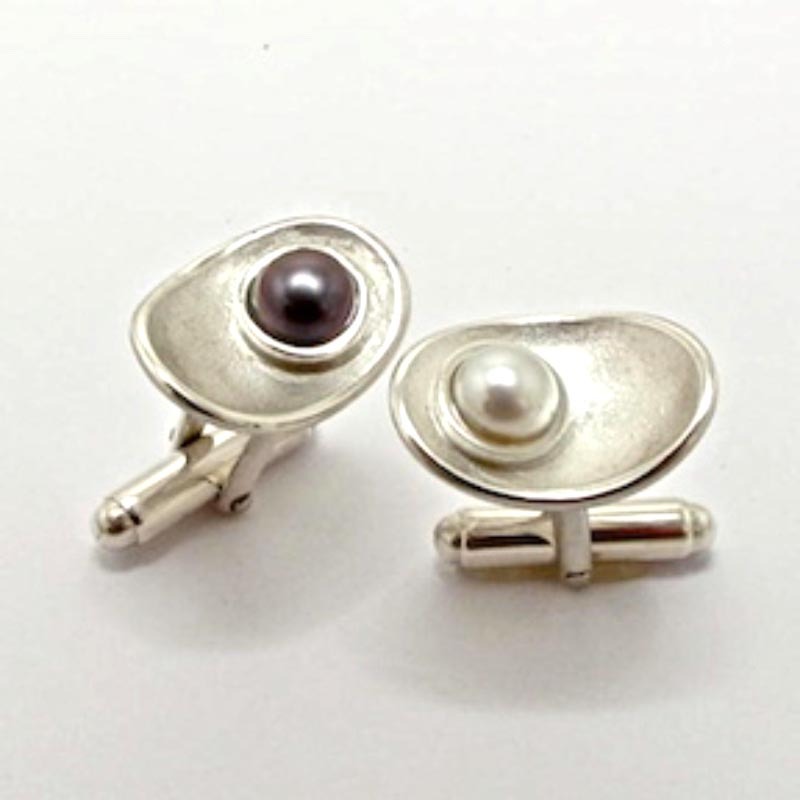 Call us on +27 (11) 268 2021 to design the perfect pair! 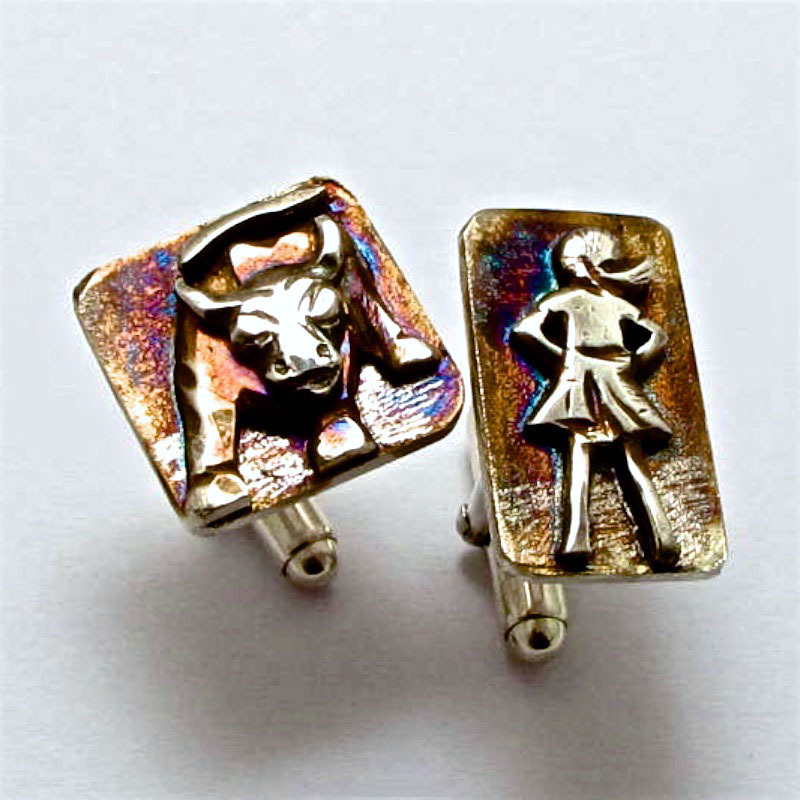 Sterling Silver New York “Charging Bull and Fearless Girl” for the stockbroker! 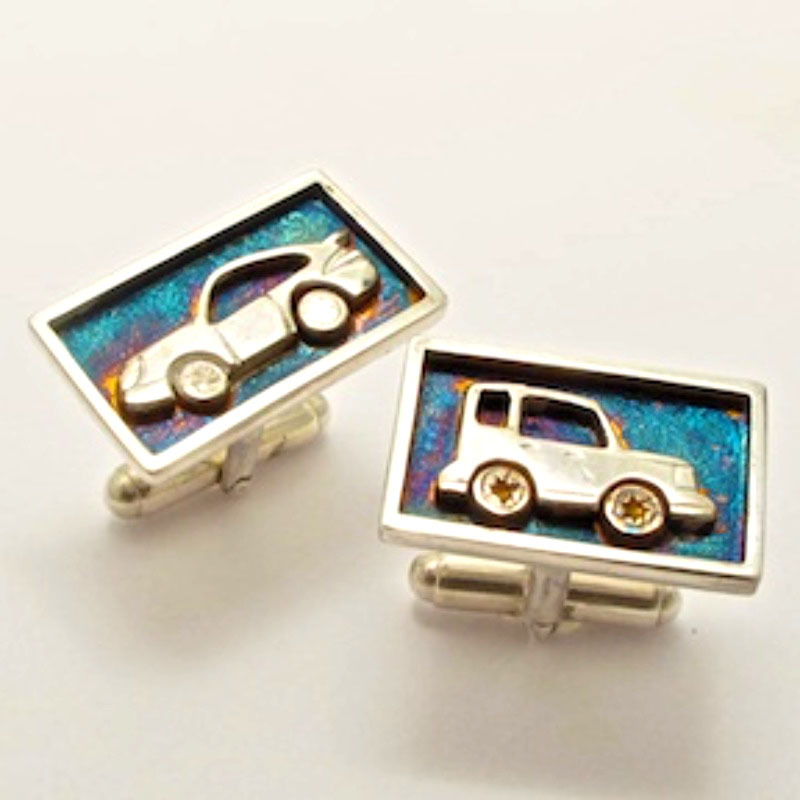 Keeping up with Mr Jones – everyone should have a Sportscar and a SUV in the garage! 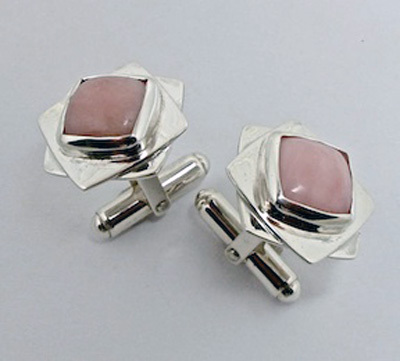 Pink Andes opal and sterling silver. 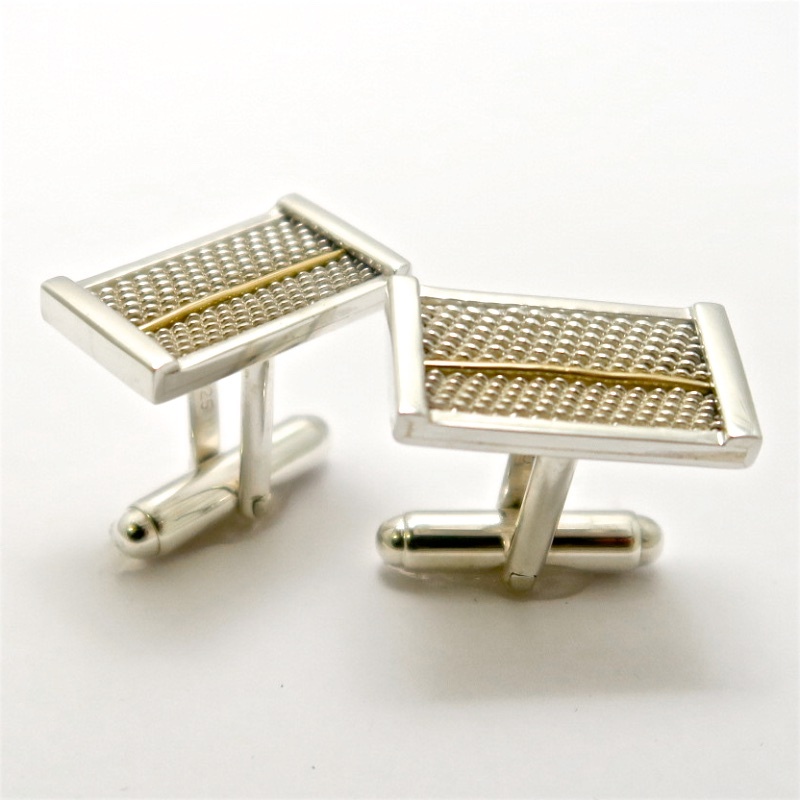 18ct Gold – classic design. 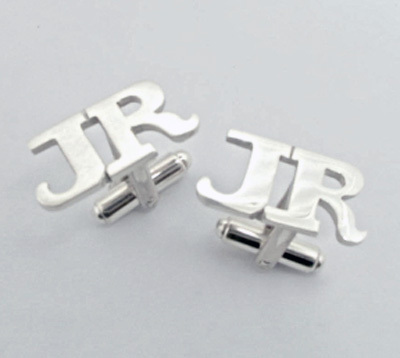 A special for Dad from his two successful sons. 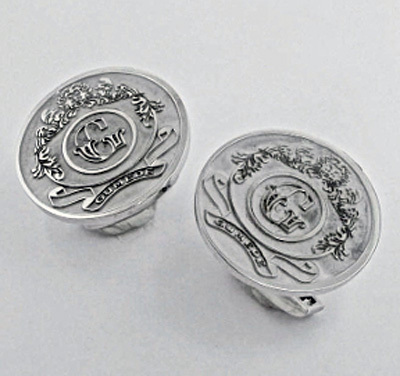 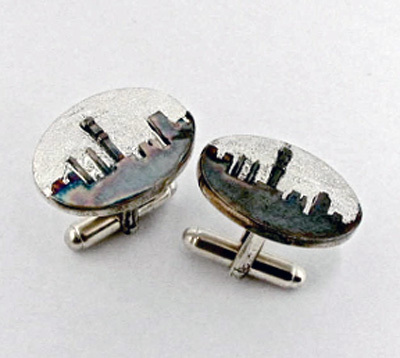 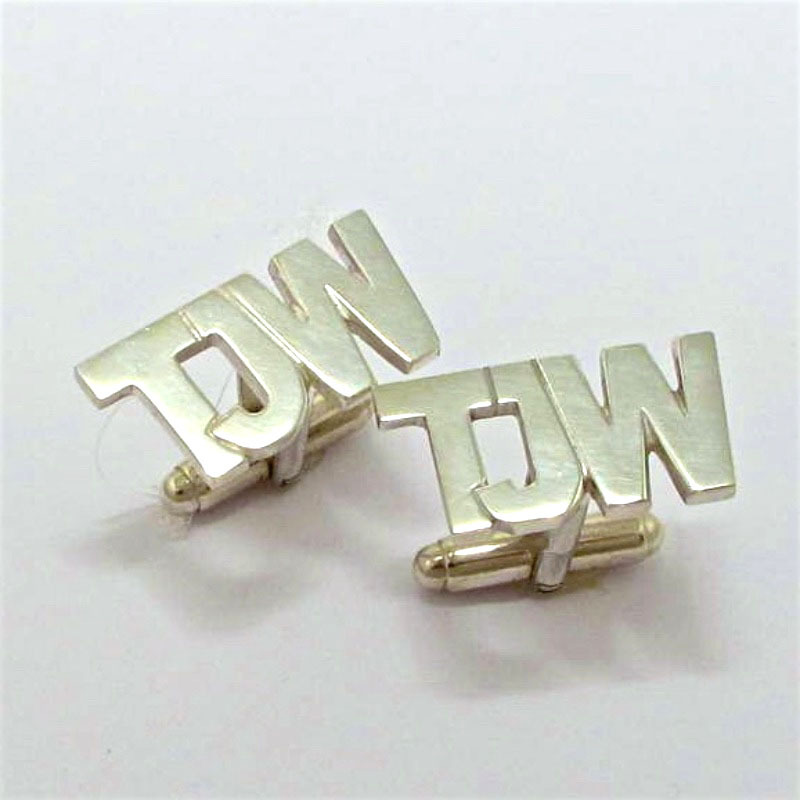 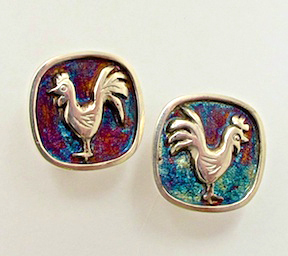 One of the many styles of “initial” cufflinks. 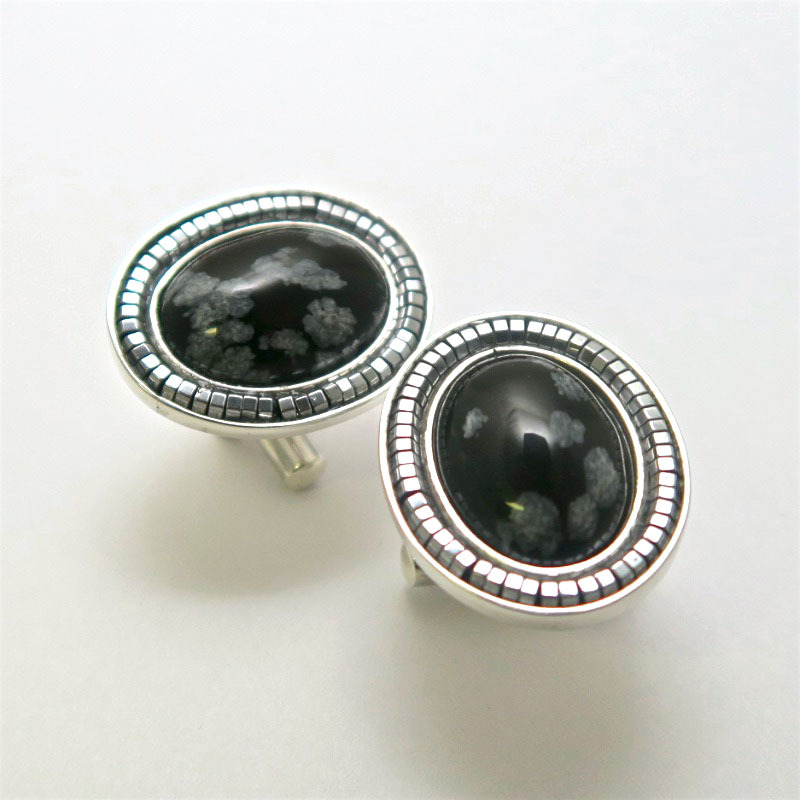 Cat’s Eye and sterling silver.